The Stirling Dining Table is a beautifully enduring traditional design. 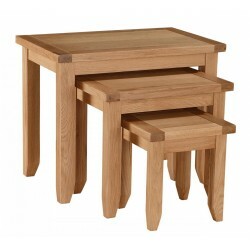 Made from solid oak with Oak Vaneer it will suit both traditional and modern setting. The table combines four strong legs with a rectangular table top, and is perfect for adding a spot of rustic beauty to any location.